Several years before the 2010 election, the publication of a book by perhaps one of the most influential journalists of the 21st century hinted at the economic will of our political leaders. It explored, drawing on historical record, how ‘massive collective shocks’ (natural disasters, wars, terrorist attacks etc) provided opportunities for those of a certain political outlook. Only last year, Nobel prize winning economist Paul Krugman (awarded for “his analysis of trade patterns and location of economic activity“) claimed that the book “really helps explain a lot about what’s going on in Europe in particular”. 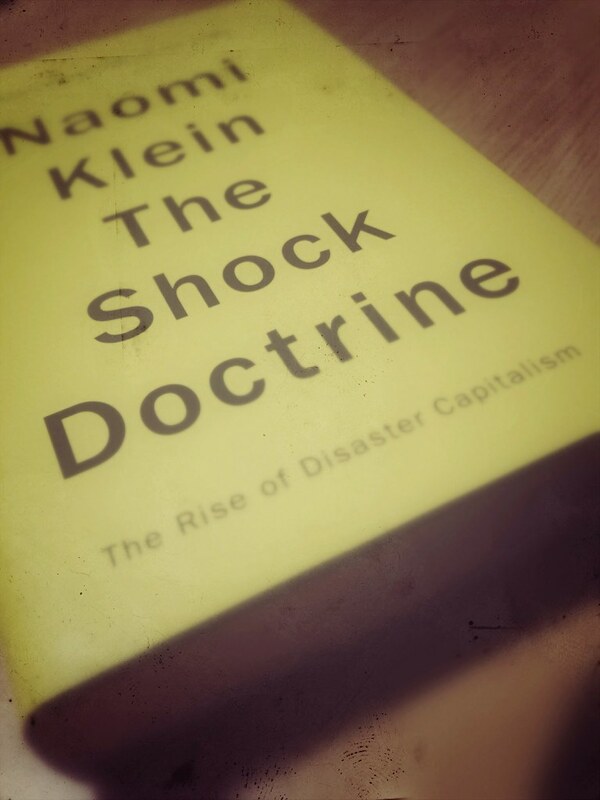 In short, Naomi Klein’s Shock Doctrine sets out almost exactly the ideology behind the austerity programme. A programme that is not about returning individual states to economic equilibrium, but about taking advantage of “economic distress” to push through unpopular ideological reforms, regardless of their economic and social impact. What we are currently witnessing, through the drive to “austerity” and the overzealous pursuit of public sector cuts, is an ideological drive by those beholden to a destructive neoliberal economic philosophy. This is not about economic necessity, despite the oft-repeated rhetoric of Cameron, Osborne and Co. Indeed, we can see some similarities between the course of action being taken by our current Tory/Liberal Democrat coalition and previous examples of the pursuit of shock doctrine economics. The economic experiments conducted in late twentieth century Chile, for example, certainly provide a telling example in terms of where this neoliberal economic ideology may take us. 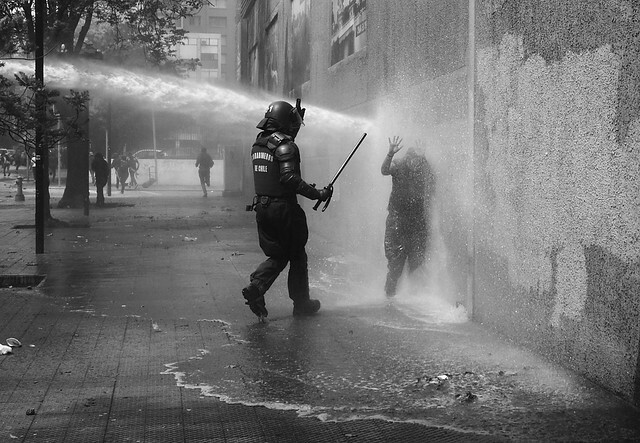 The experience of Chile in the latter half of the twentieth century tells us much about how some of those on the extremist fringes of the neoliberal right view the balance between the state and corporate interests. In short, the state needs to be scaled back and private control of public services and utilities needs to be expanded, regardless of the will of the people. To pursue these ideological goals was, evidently, near impossible so long as the people could exercise their democratic rights (why would the population support policies that weaken their influence?). Such actions were, therefore, needed to be built on the back of a tyrannical, oppressive dictatorship. An oppressive dictatorship that terrorised its people such that it prevented the emergence of any organised opposition and where, even if it does start to emerge, it is crushed at source. 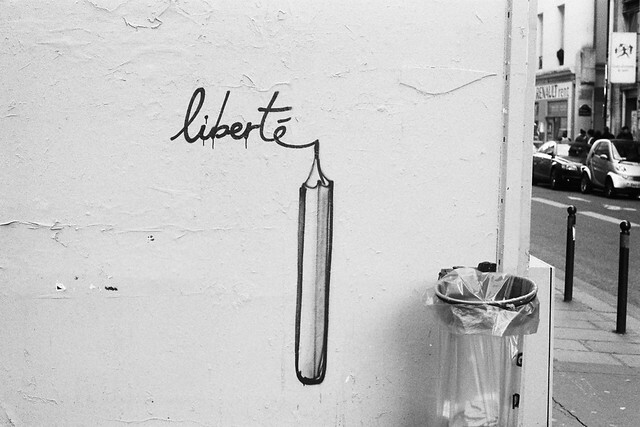 Image c/o seven_resist on Flickr. The Chilean economic experiment had its roots in the murderous overthrow of Salvador Allende, the destruction of its democratic institutions and its replacement with a military dictatorship led by General Augusto Pinochet. 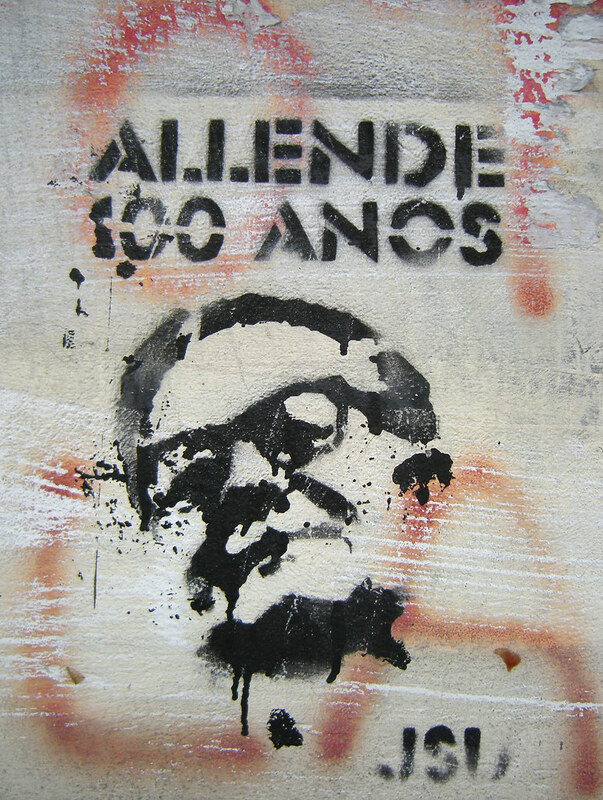 Allende’s crime? A programme of nationalisation of Chilean industries and a raft of reforms including: expansion of land redistribution (begun by his predecessor) and government administration of healthcare and education. What was to come following his overthrow was a very different Chile to that envisaged by Allende. One that was less democratic and one which significantly widened the divide between the richest and the poorest in Chilean society. The shock of a coup against the democratically elected Chilean government provided the window of opportunity required for a number of University of Chicago educated neoclassical economists to seek to influence government economic policy. Receiving their education via an exchange programme with the Catholic University of Chile, students sat obligatory classes on basic economic theory by Milton Friedman, a keen advocate for free market economics. Friedman believed that markets, free from state interference, yielded better economic outcomes than those that resulted in state intervention. 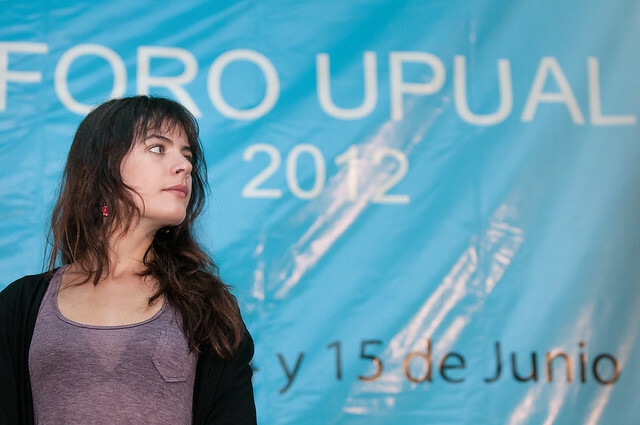 His economic thinking had a massive influence on these young Chilean students, who returned to Chile inspired by Friedman’s economic theories. These students became known as “The Chicago Boys”. Upon their return, after Allende’s successful bid for the presidency, they were so alarmed by the policies enacted by Allende and his adherence to the notion that the state must play a key role to ensure economic prosperity, beliefs that were so alien to the teachings of Friedman et al, that they set about drawing up alternative economic proposals. Upon the conclusion of the coup against Allende, they presented a “189-page draft of diagnosis and proposals“, which they gave to the generals”. By 1975, two years after the coup, Pinochet moved to install a number of Chicago Boys to positions of power in the government. After their installation, the Chicago Boys set about introducing the economic policies inspired by the teachings of Friedman, removing the influence of the state from every aspect of Chilean life. Chief amongst their proposals were the moves to privatise both healthcare and higher education. The economic experiments in Chile were observed closely by many in the West, keen to move towards a neoliberal economic model, shrinking the role of the state and embracing free markets. This was particularly true in the United Kingdom as the free-marketeers looked to smash the post-war economic orthodoxy founded on the political consensus around Keynesian economic principles (ie that optimal economic performance requires economic intervention by the state). The impact upon higher education was particularly devastating, and some of the consequences of the shift towards privatisation are only just starting to be realised. Such was the depth by which the Chilean education system had been handed over to the market that, in a 2013 OECD report, Chile was found to have the lowest proportion of public expenditure on all four levels of education (pre-primary, primary, secondary and tertiary with 57.9% of education spend coming from public sources (see table B3.1 – PDF). In terms of higher education, the state contributes approximately 22.1% of the cost of higher education (the UK spends 25.2%), whilst Denmark, Sweden and Norway all spend over 90% (see table B3.2b -PDF). As for Chilean society in general, the country has, according to the Gini index score (which rates the degree of income disparity) the worst score amongst OECD members (it is worth pointing out that the OECD itself does not advocate a system of free higher education). The education system as it has developed in Chile is clearly a reflection of the neoliberal agenda pushed by Milton Friedman via his foot soldiers, the Chicago Boys. Image c/o Emilia Tjernström on Flickr. Despite a shared ideological zeal for the free market ideology preached by Friedman, it was clear that forcing such policies through, without the economic shock to smooth its path, would not be possible in a democratic society with liberal traditions. Some might argue that the necessary ‘shock’ to ensure the safe passage of such reforms came twenty years too late for Thatcher. Although there was a reluctance to embrace the Chilean economic model in the late seventies/early eighties, there certainly seems to be parallels in this post-economic shock era with the neoliberal reforms enacted by Pinochet and the Chicago Boys. For example, due to the shifting of responsibility from the state to the individual, the majority of students in Chile rely on government-subsidised loans, which often results in substantial debt. In 2012 alone, more than 100,000 students defaulted on their loans owing an average of $5,400, about a quarter of the average annual income. Interestingly, and in a striking parallel, a year earlier in the UK the average student debt was £5,680. The average salary in 2011? £26,200. Debt was, therefore, just under a quarter of the average annual income in the UK. And yet there has been a substantial difference in the way these two societies have reacted to the same problem. Of course, the average debt in the UK is now significantly higher due to increased fees, which underlines the difference in student tolerance levels in the two countries. creation of a government agency to apply the law against profit in higher education and prosecute those universities that are allegedly using loopholes to profit. It’s little surprise that a keen advocate for free markets and private enterprise in Chile is alarmed by the emergence of a leader that has supposedly (and it remains to be seen whether she will make good on her stated intentions) committed to reversing some of the negative impacts of such a system. But the movement against the existing model is growing in Chile and momentum seems to be building for a rejection of the model that has held sway since the Chicago Boys first began to influence government policy in the early seventies. So much so that former leading figures in the student protest movement, (including Vallejo, Karol Cariola, Giorgio Jackson and Gabriel Boric) won seats in Congress following the 2013 election. 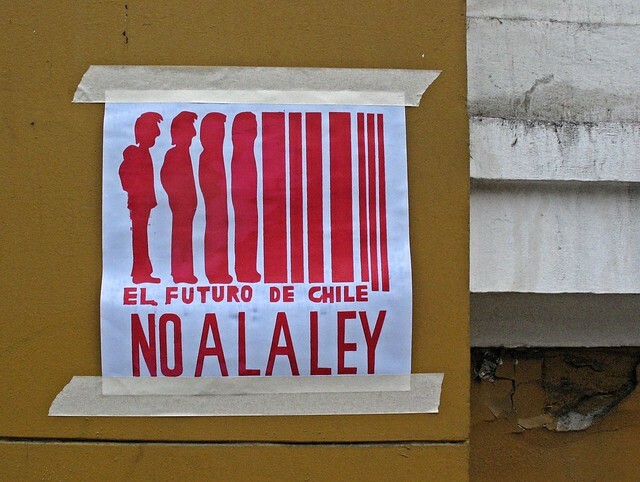 Whilst there is still a long way to go to reform higher education in Chile, there are signs that the protest movement is on the verge of a breakthrough, a wholesale rejection of neoliberal economic policies in regard to higher education. Interestingly, their rejection comes around the same time as the government in the UK are turning towards the Chilean model as an answer to a supposed funding shortage. The 2008 ‘shock’ providing the cover that Thatcher did not have at her disposal. Will it be another 40 years before we start to see a rejection of this model in the UK? Chileans are bemused by the attention paid the robust economy bequeathed them by General Augusto Pinochet. Reformers as far afield as Europe and America have taken special note of his reform of health care, education and social security…If the Chile model holds, then, nations only learn the hard way – that is, by their own trials and experiences. Nonetheless, Chile’s revolutionary example – the withering away of the state – stands for those inspired to follow. They certainly did take note. Over twenty years since the people of Chile rejected the dictatorship of Augusto Pinochet, the so-called “Chile model” still influences those of a certain political mindset. In the 1980s the United Kingdom lacked the “shock” required to instigate many of the economic policies adopted in Chile. The global economic crisis in the early part of the twenty first century provided that “shock”, and it also provided the opportunity that many had been waiting for. There are signs already of what the future might hold should the UK government continue to pursue a course of self-funded higher education. After years of rather timid student action, protests are becoming increasingly common as financial pressures begin to take their toll. If the Chilean experience is any indicator, such protests will grow, becoming more vociferous and influential before, potentially, challenging the orthodoxy and leading to a radical re-think by our political leaders. However, just because a policy creates a certain reaction in one country, does not mean it will be repeated in another. Conditions vary, environments vary, history and culture varies. It would be unwise to predict that the reaction in Chile will be replicated exactly here. But if there is one thing we can be sure of, there will continue to be reactions. They may be small and sporadic, they might not lead to the kind of organised opposition witnessed in Chile and they might not have an impact that comes even close to that experienced in South America. But, as we continue to follow the path set out by the Chicago Boys in Chile during the 1970s, we may well find there is an increasing reaction against the continued marketisation of higher education.